St. Louis County has a large collection of historic places such as parks, museums, schools, churches and homes, that all meet the criteria to be called "historic". 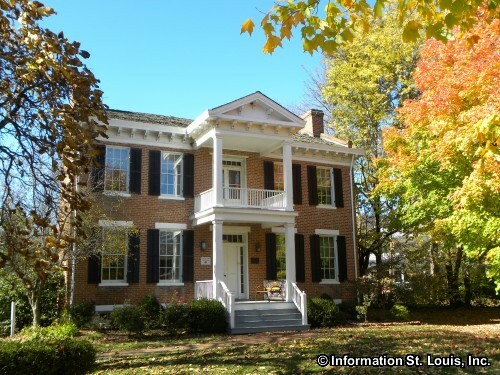 The county is fortunate to have many of the homes of prominent St. Louisans still in existence. One of the homes, located in Bee Tree Park in South County is the Nims Mansion which was built for Eugene Nims, the founder of Southwestern Bell Telephone, as a family weekend retreat. Another historic home is the Hawken House, built by Christopher Hawken, the son of Jacob Hawken who produced the famous Hawken Rifle, the "gun that settled the west." Taille De Noyer, now located on the campus of McCluer High School in Florissant, was originally built in 1790 as a two-room log cabin for fur trappers. The cabin was purchased in 1805 by John Mullanphy, St. Louis' first millionaire, who then gave it to his daugther who expanded it to a 22 room mansion. Below is a list of almost 50 historic places that can be found in St. Louis County. Some are free, others charge an admission fee and still others are private and can only be viewed from the street or by the owner's permission (please be courteous!). Spend an afternoon visiting one or plot out an entire of day of historic places to visit! Enjoy! We did!